Within Teamwork Desk, you can add a new custom field on inboxes of your choosing. Note: Custom Fields is only available on the Professional and Enterprise plan. To create a custom field, click on your profile icon to the top right of the navigation bar and select Settings. Near the top of the page select the Company area of settings. In the left pane select Custom Fields. You will now have the option to add a new field to the top right. When adding a new field you have six types to choose from. When you have chosen what type of field you require you can then give it a label name and choose whether it is required for agents or not. Note: By choosing to enable Required, agents will be required to fill in the field before the ticket can be solved or closed. When creating a custom field you can choose from a few options relating to your customers. 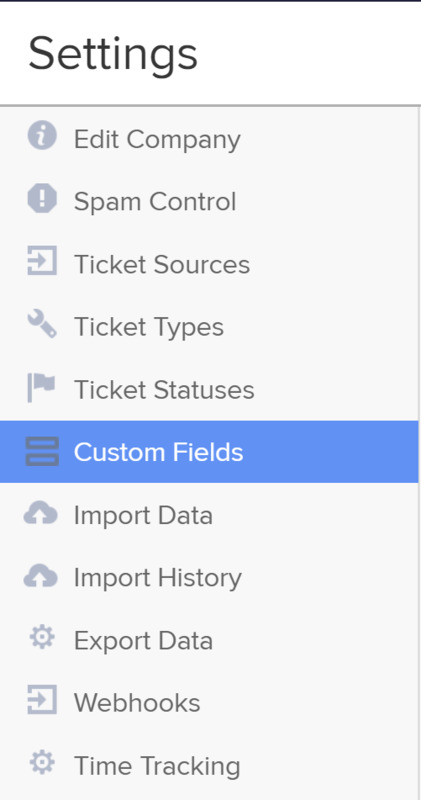 Can view - you can choose to enable this so that the new field will appear on the contact form your customer will use to raise a ticket with you. Label - this is the label that will be shown to customers when creating or viewing a ticket. Note: The label will not be translated. 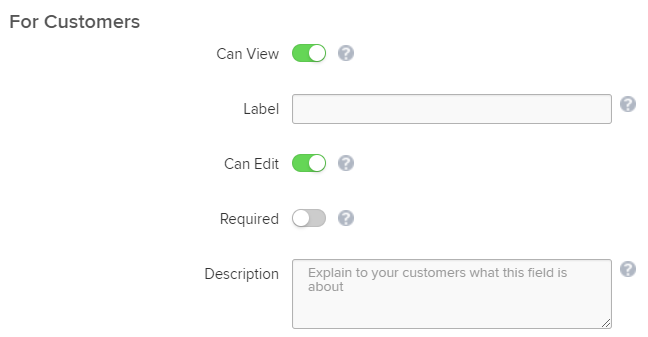 Can edit - when enabled the customer can edit the value they entered when submitting the ticket from the customer portal after their ticket has been submitted. Required - when you enable this the customer must complete this field before submitting the ticket. Description - the optional description will be shown to customers beneath the form field. You can choose what inboxes you would like to apply the new custom field to. You can tick the boxes next to each inbox you would like or use the search function to find a particular inbox. Finally, you can choose to apply the custom field to all future inboxes that you create going forward. You can then choose Save Field to apply.